Marile and I firmly believe that “For it is in giving that we receive“. Thus, our 2018 year-end #ThankfulThursday, invites you to reflect with us on the many lives we have helped change by supporting the caring and compassionate charitable organizations in our South Florida community, nation, and the world. Thanks to your generous contributions of your time, talent and treasure, the lives of many families and kids have been changed. Moreover, each woman, man and child you helped now knows that you believe in them — empowering to believe in themselves and in a better future. We invite you to meet Samantha, Johandra, and other Boys & Girls Club of Miami-Dade — see for yourself their heartwarming stories and how their lives you have transformed. Samantha was drafted to play professional basketball after spending her days practicing at our club. Single mom Johandra trusted Boys & Girls Club of Miami-Dade to care for her daughter, Mila, while she worked long hours. 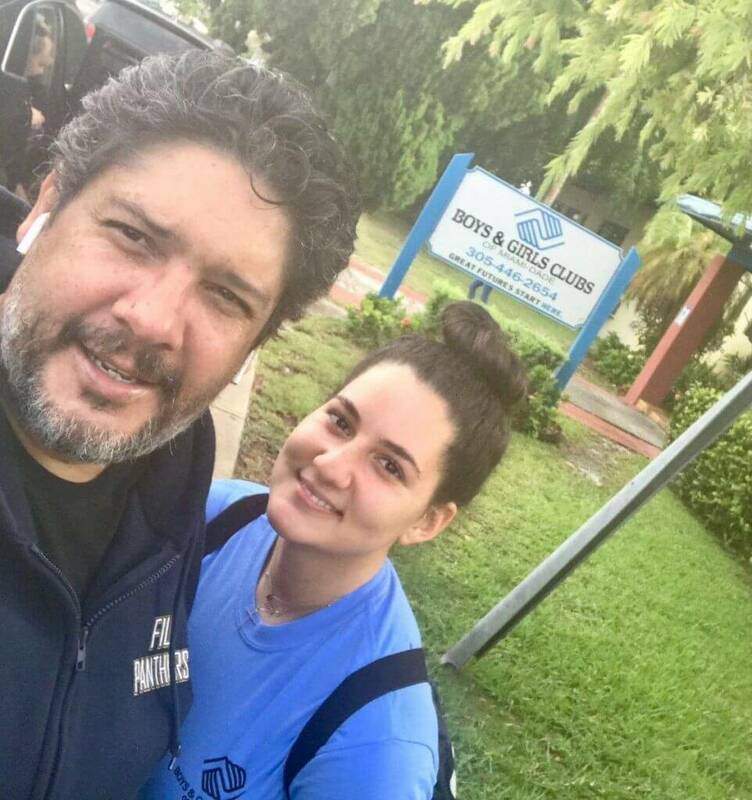 Every donation you make to one of your charities of choice — such as Boys & Girls Club of Miami-Dade — you are creating amazing success stories — just like Samantha & Johandra, and as our very own daughter Annia witnessed all these years volunteering at our Club. As the 2018 giving season rapidly comes to a close, we invite you to support your charity of choice to change the lives of many of our neediest neighbors — one last time before we ring in the New Year. Today, we’re asking you to help an additional 50 kids — sons and daughters of our neighbors — receive educational after-school programming for 6 months. You see, even though we helped hundreds of boys and girls last year, there are still many more that we couldn’t help, because we don’t have the resources to do so. That’s why our goal for this campaign is to raise $10,000 by December 31st. If we raise that amount, we’ll be able to provide educational after-school programming for 6 months — for 50 more kids this year than last year. Would you be willing to make a special year-end donation of $50, $100 or whatever you can afford to help us meet our goal and bring 50 more boys and girls in to the Club? We simply can’t do it without you. Your support will make a real, lasting impact in the lives of those kids who are still in need. Please, click here to make your donation now. The well-being of deserving kids like Samantha are at stake.